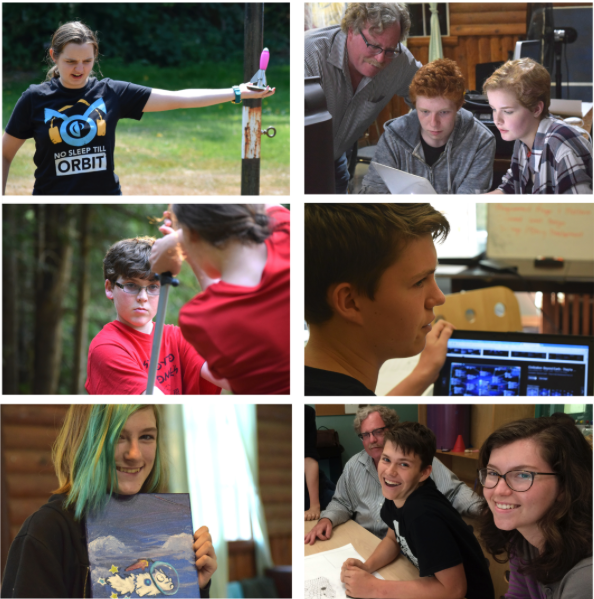 The property is owned by DIGIVATIONS CAMP DEMIGOD INSTITUTE, a federal 501(c)3 and Washington State non-profit, which fosters the next generation of innovators through its NASA award winning STEM+ARTS+MOVEMENT curriculum. Our mission is to educate, inspire and empower leaders, young and old, to apply innovative strategies to a expand the frontiers of human knowledge about ourselves and the world around us; and help tackle important problems related to energy, health, education, the economy and the environment, among others. DIGIVATIONS CAMP DEMIGOD INSTITUTE™ founded by principals Anne Deane Berman, PhD and Dr. Steven Lee Berman offers interdisciplinary programs ranging from novice to advanced education in the fields of science, technology, engineering, math, the creative arts and humanities with a special emphasis on "inspiring the next generation of innovators". Each summer 100 young adults, ages 9-17, train to be "demigods" from international faculty and young scholars. Demigods are important figures in Rick Riordan's Percy Jackson books, where many of the characters, including Percy Jackson himself, are demigods. In Riordan's work, a demigod is strictly defined as an individual born of one human and one divine parent. We had a fun and wonderful weekend getaway staying at Steve & Anne's mountain cabin. The lodge was clean, warm, well stocked, and just a short 10-15 minute drive to downtown Leavenworth. Also loved spending some time talking to the hosts as they are a wealth of information in the subjects of education and entrepreneurship. Would definitely come back here again when visiting the area. The place has awesome location! When you leave the house you do not see any other people around, just nature. We stayed in lower apartment. It matches photos and description. Very warm. Do not expect new furniture or stylish design from the Condo, it is very modest in terms of look and feel. Will stay again - location is great. Great mountain getaway. Fast communication. More suitable for families with kids (vs groups of friends ) as basement apartment may have tenants. Make sure to check the weather and plan ahead for road conditions! Steve and Anne were phenomenal hosts. Very polite and professional and made sure that we had everything we needed for our stay. The area we stayed in was close to town but secluded enough to feel like you could get away. The accommodations were clean, dry and comfortable. I have absolutely no complaint about our stay. The whole experience was great. The house is fantastic, and Steve was very attentive the whole time, always checking in to see how we were doing, and ready to intervene in case we needed help (we needed to get the road path plowed a couple of times). Overall we had a great time and will definitely come back again.